Around 30 years ago I pointed out this telling statistic. I heard it in the mid-80s. Guess what? … It’s only gotten worse. Here’s a sad state of affairs at a time when many Americans are needing jobs. Colleges are graduating students every semester with a ton of student-loan debt and a degree they can’t use. Sit down with any Human Resources person in a technology company and ask them what their biggest challenge is. Almost across the board you will get the reply – finding talent. Technology companies from coast-to-coast are struggling to fill the vast array of unfilled vacancies at the front line of their organizations. A tech recruiter relayed the story that he was at a networking event recently when the CEO of a young startup company told him he would pay a fee of $400,000 if the recruiter could find five great engineers. When you consider tech talent at the leading firms can represent several million in revenue then a half million in fees sounds rather paltry. There’s a tech talent drought leaving nobody to fill open positions. Much of it is the education selected by students over the last decade or so. So here’s what I don’t understand. An Engineering degree costs as much as a Psychology or Performing Arts degrees and the income potential is vastly greater for nerds. It begs the question, why are young adults pursuing degrees that have them more likely making coffee at Starbucks rather than enjoying the weekend with the top down on their new Beemer spending that big tech paycheck? I think it comes down to shortsightedness sprinkled with a little laziness. Engineering is hard! It requires work, lots of it. But hey, if it’s the difference between a six figure income or the title Barista, I think I could figure out how to get the work done. I think much of it is based on the times. We are raising a generation of American Idols with dreams of making it in Hollywood. What many of them don’t realize is they stand a better chance of getting struck by lighting than striking it rich in Tinsel Town. For every Brad Pitt or Angeline Jolie walking the red carpet, there’s a million actors pouring Cappuccino for another aspiring actor reading the want ads. Every good tech engineer stepping out of college today can be making mid-six-figures within five years. For every Bill Gates and Steve Jobs there’s a thousand Zuckenburgs ready to make their mark in the tech world as we speak. Solve the tech talent drought. Learn programming. This entry was posted in Slider, Technology and tagged Engineering, postaday2012, Tech Talent Drought, Technology on May 1, 2012 by Mickey Mills. Jimmy is mad about SOPA. So for the next 24 hours, Jimmy is going to take his ball and go home. Wah-wah. Maybe offices all over the country will get something done because people are actually doing work instead of surfing wiki. It makes wonder what I am going to do tomorrow when I need to know who played bass in The Mother’s Finest or what route did Amelia fly to her vanishing act. What do they expect me to do – go to the library?? …. the horror… the horror. I kind of get the point about why outfits like Wiki and Google and Yahoo might want SOPA (Stop Online Piracy Act) or PIPA (Protect Intellectual Property Act). I can also see why Warner Brothers, Pixar, and Rupert Murdoch want it. Look at how much they are losing every time someone sells The Dark Night DVD on the streets of Baghdad. It adds up. I don’t like it when people steal from me either but when they do I don’t lock up everyone else’s house because if it. I try to get the police to do their job and catch the thief. I think the motives understandable but the methods are maddening. Consider this possible scenario under SOPA. You snag a picture off the internet of Jack Sparrow and put it on your Facebook profile. Because Facebook allowed you to put it up on their site now they are as much as fault as you. Theoretically the Governmental could then make it illegal for search engines to find anything on Facebook because you had the hots for a dread-headed pirate. That is a little extreme but you get the gist. The answer to me is quite simple. If everyone would stop stealing we wouldn’t need such nonsense. You might as well say if everyone would stop eating breakfast we could solve the obesity issue, one pound at a time. reaction to single-issue national politics is foolish. This entry was posted in Slider, Technology on January 18, 2012 by Mickey Mills. For the last 24 hours I’ve been playing around with the new Kindle Fire. I have just two words — awe some. The Fire is fast. It runs Android so there was essentially no learning curve. It runs much like my Droid Bionic. Web surfing is very fast on the Amazon Silk© cloud based servers. With the “Last Used” Carousel sitting atop the home screen it’s very easy to get back to your recent apps. From there you can quickly add a favorite app to the bookshelves below. The Fire will be a great little personal video viewer using either Amazon Instant Videos or Netflix. The screen resolution is marvelous and video plays with absolutely no skip or chatter. The on-board speakers are adequate but sound is much better with ear-buds. Amazon made it very easy to get to their content, which explains the low price. They want you buying books, music, videos, and TV shows from them. With the One-Click-Buy feature it will be almost too easy to drop coin into Amazon’s purse. 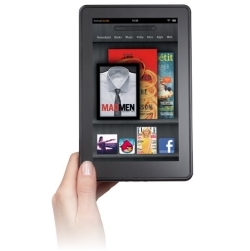 In many ways the Kindle Fire is simply an Amazon Point-of-Sale device. Amazon should see a big jump in content purchase when the first wave of these things hit the network. The increased content sales will be needed to offset the hit brought on by the high manufacturing cost of the Kindle Fire. Knowledgeable insiders believe the unit production cost to be around $250 each. It’s like Amazon is slipping a fifty into every box they sell for $199. One of the Kindle’s strong points is its Magazine delivery service. The word magazine doesn’t even do justice to the kind of publication you can receive. I took a look at a free trial of Wired. The content is amazing with added content enhancements, video, and music. Online subscriptions bring a new magic and power to the common periodical. Well, there are a couple of glaring deficiencies. The device is short on memory and connection. Unlike the iPad which can connect to a 3G network, if you are willing to pay that premium, the Fire is only connectable on WiFi. That means that you would not be able to access the Kindle Store or the internet unless you are connected to a WiFi source. For many people this won’t be an issue. They’ll only be using the Fire where WiFi is available. If you want full connectivity wherever you go then this device may not be for you. One connectivity option (that comes with a price tag) is the ability to tether the Fire to a Smartphone. For example, if I wanted to pay the monthly access fee to Verizon (on top of the data plan already in place) I can turn my smartphone into a hot-spot. Effectively the phone would become the WiFi source for the Kindle. That’s not worth the $20 a month it would cost me to do so but for some it would be a good option. The other issue is the minuscule amout of on-board memory. Eight gig isn’t much for a device that plays videos considering movies by themselves take up about two gig each. Right out of the box you don’t even have the full eight gig. The Android operating system takes up about a gig. Load a few apps and available memory reduces quite quickly. I loaded about 200 songs into the library and those took up a half gig. Again, if you are always connected to WiFi it’s not an issue. You can easily stream from your cloud storage. The absence of an SD card slot to add additional memory is curious but understandable. It was a price matter where each added feature added more cost. Amazon’s target price was always below $200. To meet that sacrifices had to be made. Bluetooth would’ve been a nice option but again, it was something they chose to do without to achieve the price point. The one thing that really stands out is the weight. Compared to its precursor, the Kindle eReader, this thing is like a boat anchor. It’s heavy and well built. I expect it has a durability to last many seasons of hard use. In spite of the perceived shortcomings this a great entry level tablet. For what I want it to be it will be ideal. If I do use it away from the WiFi it will only be as a reader and music player. Oh, and this things breaths new life into Angry Birds. The game is actually sized up enough to where my weary eyes can see it easily. So far I’ve just scratched the surface of what this thing can do. As time goes on and I get more comfortable with the device, the Kindle Fire will become my go-to personal content appliance. This entry was posted in Technology and tagged Amazon, Kindle Fire, postaday2011 on November 18, 2011 by Mickey Mills. By the time a practice has its own name you would think the cell phone providers would already be doing something about it. I suspect the carriers get to keep some of the ill-gotten gains which explains their decision to let it go on. My cell phone bill arrived yesterday and included two charges of $9.99 ($19.98 total) that I did not recognize. The game is afoot, Watson. Which I guess means if it happens again I am on my own. Add a block to my account for third party billing. I went on express my view that Verizon Wireless is acting as a collection agent on behalf of spammers. He all but agreed with me but also added that their hands are tied. He says that Verizon is bound by regulations of the FCC to add these third party billings when they come in. He confirmed my suspicious that Verizon customer service representatives spend an extraordinary amount of their time fielding these kinds of calls and dealing with customers displeasure with these third-party charges. I don’t know what the answer is other than to do my part and be very prudent when I see any service asking me for my cell-phone number. The fine print may not even be there. I know I would never have agreed to anything that cost $9.99. It’s not like I ever saw anything that remotely resembled a service that was going to bill me $9.99. My new motto is… Just Say No to cell phone scams. Check out this guy’s very detailed Verizon experience with the same thing. Verizon’s Fraud and Scam site. FCC proposing crack-down on cell-phone cramming. Bottom line for cell phone customers. If you haven’t already added a “billing block” to your account. Pick up the phone and do it now before you see big charges that can’t be removed. 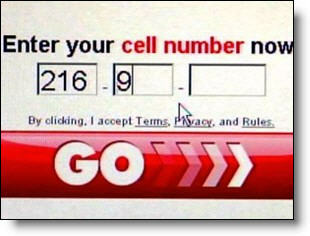 This entry was posted in Technology and tagged Cell phone cramming, Cell phone scam, postaday2011, Verizon Wireless on October 31, 2011 by Mickey Mills. I suppose in this great technological battle between Apple (all alone in one corner) and Android (looking more like a platoon than a solitary soldier) I chose my side when I dumped the old Blackberry for the Droid Bionic. It was like moving up to to a Porsche from a Buick, albeit a rather nice Buick. Bye-bye Blackberry. I have noticed something about the cell-phone wars; iPhone users tend to be pretty militant about their cell phones, which comes in real handy in war. 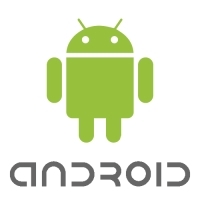 The Android people are just kinda laid back in a Timothy Leary/Haight Ashbury kind of way. It seems funny that long time Apple AD campaign actor, Justin Long, portraying “Mac” in the PC vs. Mac commercials, looks oddly like an Android guy. It was easy for Apple to go after Microsoft. Everyone loves a good David and Goliath story. These days Apple is starting to come off as Goliath. I looked at the iPhone for about two milliseconds when thinking about upgrading my phone. So why did I select Android over Apple? It’s pretty simple really. In the case of Verizon, my long time carrier, I could get 4G connection speeds. The iPhone in all it’s simplistic glory, for at least the foreseeable future, is shackled to a 3G connection. Liken it to driving that Porsche on a dirt road. It’s unknown when 4G is coming to Apple. The other reason was related to the iPhone 4 antenna debacle of 2010. The right thing to do would’ve been to recall the phone and fix it. But no – the boys at Cupertino decided they’d rather send their users rubber baby buggy bumpers. 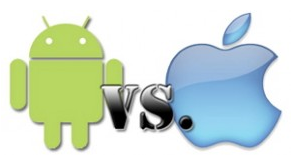 In the Apple/Android battle the real winner is the user. There is an abundance of great smart-phones out there for a great price with a wide selection to chose from, at least on the Android side. On the Apple side you get to chose between black and white. This entry was posted in Technology and tagged Android, Apple, Droid Bionic, gadgets, Google, postaday2011, Steve Jobs on October 27, 2011 by Mickey Mills. For fans of NPR radio, you may have already heard this one. This is for everybody who hasn’t and might care about the future of the internet we increasingly depend on. On the WHYY NPR program “Fresh Air,” September 27, host Terry Gross interviews author Mark Bowden (Black Hawk Down) about his new book “The Worm” where he specifically looks at the virus/worm named conficker. If you use the internet at all and worry about computer viruses, this sheds a whole new light on the topic. I didn’t know what I didn’t know. This entry was posted in Technology and tagged Fresh Air, Mark Bowden, NPR, PC Security, postaday2011, Terry Gross, Worms on September 30, 2011 by Mickey Mills. I keep trying to figure out this “New and Improved” Facebook. I read instructions a while back on how the build the Space Shuttle. That actually seemed do-able compared to this. I’m not convinced Einstein could figure out what they’ve done to Facebook or for that matter, why they took a perfectly simple user interface and turned it into something akin to reading braille written on rice. Frankly, I’m lost as last year’s Easter Egg. Some of my friends that were, aren’t; some friends that weren’t, are. My wall is like Dodge City where you never know who or what you will see next. News feed? What’s up with that. I’m seeing people doing things to people I don’t know with stuff I haven’t the foggiest interest in and I don’t have a clue on how to stop the madness. It’s enough to drive a man to MySpace!! This entry was posted in Social networking, Technology and tagged Facebook, Facebook broken, Madness, postaday2011 on September 29, 2011 by Mickey Mills. Every now than then even the technician needs help. I upgraded to Windows 7 awhile back and haven’t really had a software tune up tool and over time, temp files, registry errors and lord knows what other little software glitch I had going on was pulling my system down to trot mode. 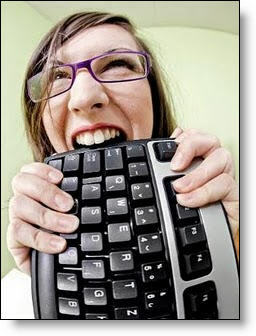 Whatever it was, I was going to have to fix it or grow old at the keyboard. Which began a search for a software tool with three important features. There were a few naysayers, but the overwhelming majority (3200 of 3500 4 or 5 star user ratings) gave this utility high marks. Couple that to this product being the #1 downloaded PC repair utility on CNET, I made the informed decision to give it a try. 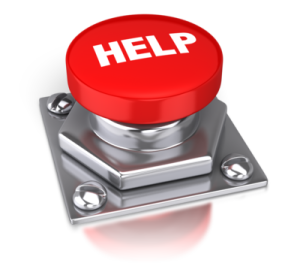 Glary Utilities went to work and in short order came back with a list of issues to be repaired, broken registry links, temporary files, invalid shortcuts, just to name a few. With another click of the Repair Issues button and the old Dell who seemed nearly down for the count was up dancing around the ring like a champion ready to take on all comers. So with all the search and repair tools built in the high functionality requirement was met. Fixed with two mouse clicks without haveing to dig through a lot of menus made Glary Utilities a breeze – Easy to use… CHECK! The basic, easy-to-use, high functionality utility is FREE. This entry was posted in Technology and tagged Glary Utilities, postaday2011, Software maitenance, Windows Utility on September 26, 2011 by Mickey Mills. I’m a guy… if course I like gadgets! I’ve been limping along for the last few months on a cell phone that looked like it did a year with Seal Team Six as a makeshift tent stake. It has the battery lifespan of an Iraqi cease fire and drops calls quicker than a hurricane wind. In other words, I’ve been needing a new phone for quite awhile. With the recent celebration of my birth over a half century ago I decided to treat myself with a new phone. I was hoping out for the Samsung Galaxy S II. 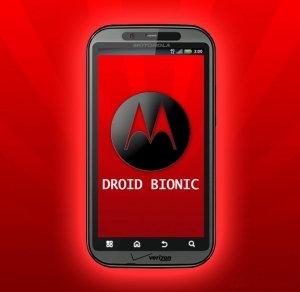 With Verizon deciding to forego the SII in favor of the Droid Bionic I had to back up and punt. Not knowing anything about the new Motorola I had to do a little research. In the days before the Bionic launch there was not a lot of hard information about the upcoming phone. But what I could decipher is this…. With a 1ghz dual-core processor on Verizons 4G/LTE Network this guy ought to be a speed demon the likes of Mario Andretti and the Space Shuttle. This thing comes out just in time to go toe-to-toe with Apple’s new kid on the block, iPhone 5, coming soon to an Apple store near you. I may be wrong but I think in a straight up fight this phone can best the igadget on several points. Which means you could easily attach a USB Keyboard and HDMI monitor. Speaking of which… There’s a FedEx truck rolling through the neighborhood looking to put a Droid Bionic into my very anxious hands. This entry was posted in Technology and tagged Android, Droid Bionic, postaday2011 on September 9, 2011 by Mickey Mills.